Compatible with Suunto Core SS014993000/SS013331000/SS018816000/SS013337000 only. Not for other models! More colors for you, fits for your daily work and sport time. Made of TPE, the band strap is flexible, durable and comfortable for your daily and nightly wear. Good for sport time too. Bring you great wearing experience. The length can be adjusted from 6.69'' to 9.05'' according to the size of your wrist circumference. We suggest that you measure your wrist circumference before buying this item. This item contains a set of band, connectors and tools, the watch is not included. 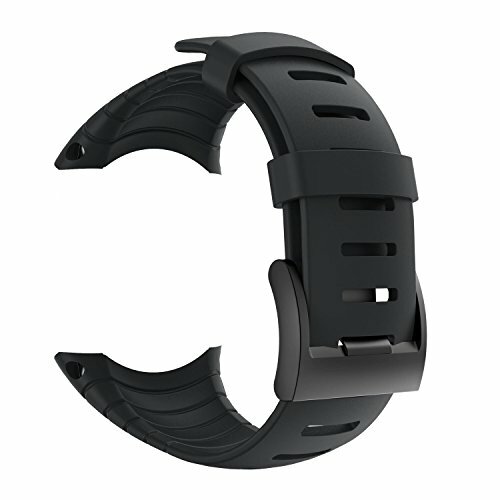 Special Designed: Compatible with Suunto Core SS014993000/SS013331000/SS018816000/SS013337000 only. Not for other models! Great Wearing Experience: Made of TPE, neither too hard, nor too soft. Comfortable and durable. Size: There are 13 holes to adjust the size. It fits for wrist circumference form 6.69'' to 9.05''. You'd better measure your wrist circumference before purchasing. What you can get: 1 set of straps; 2 tool needles; 4 connectors. Note: The watch is not included. After-sales service: Please feel free to contact us if you have any question about our products and service. Replacement or full refund with any quality problems. If you have any questions about this product by patrohoo, contact us by completing and submitting the form below. If you are looking for a specif part number, please include it with your message.